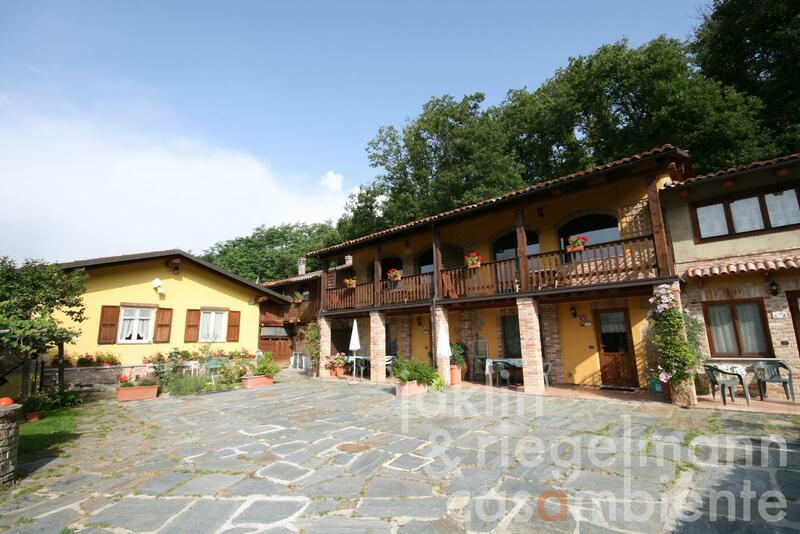 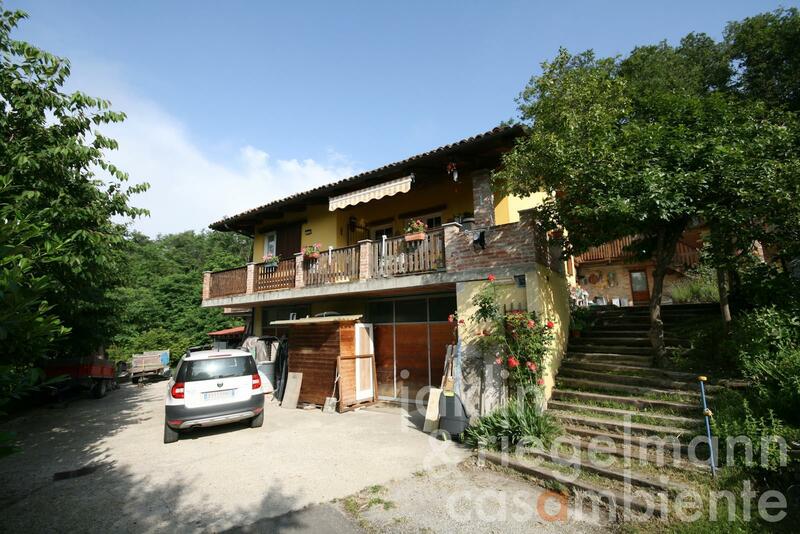 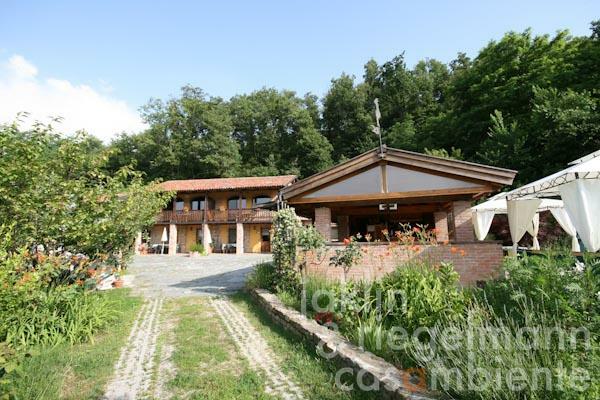 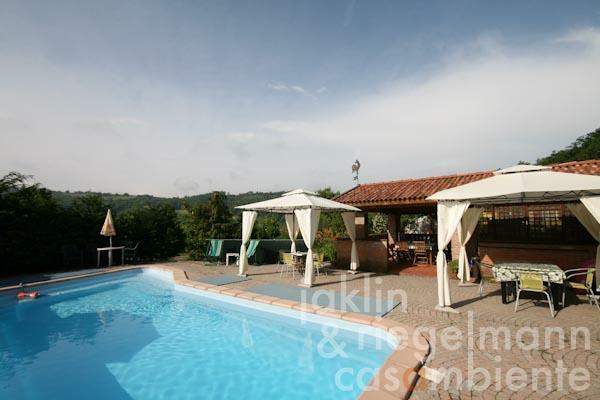 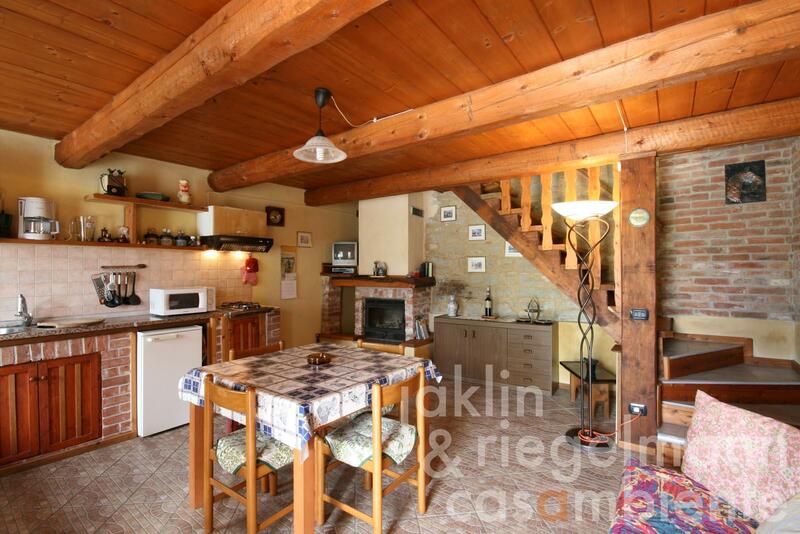 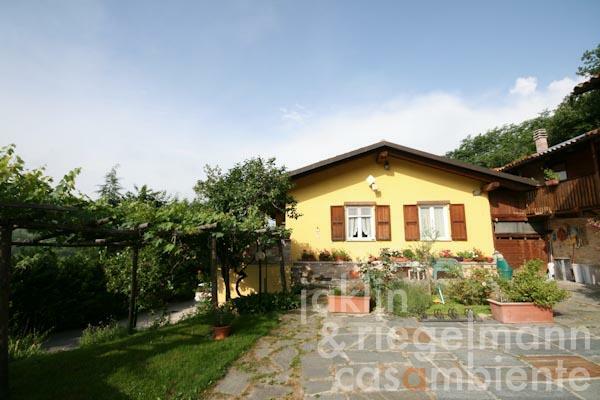 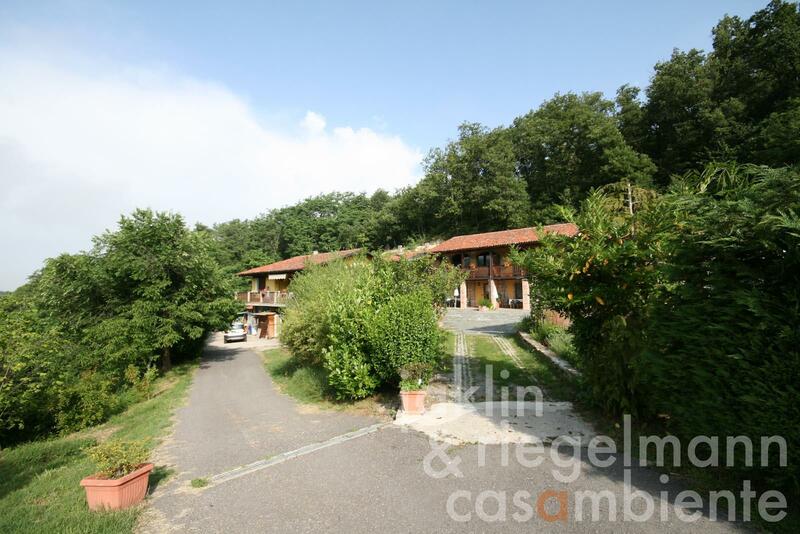 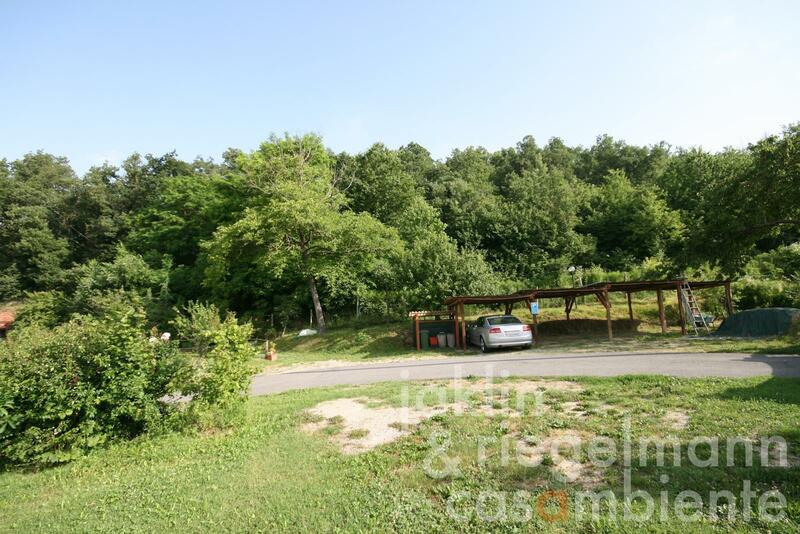 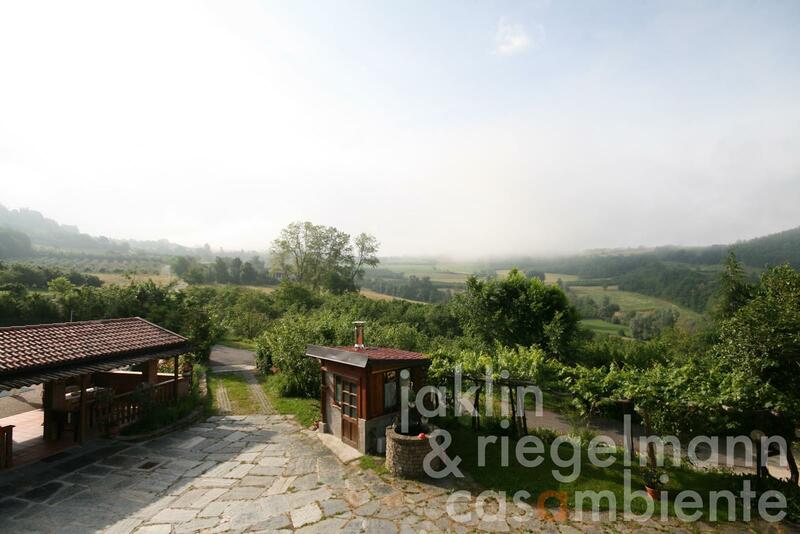 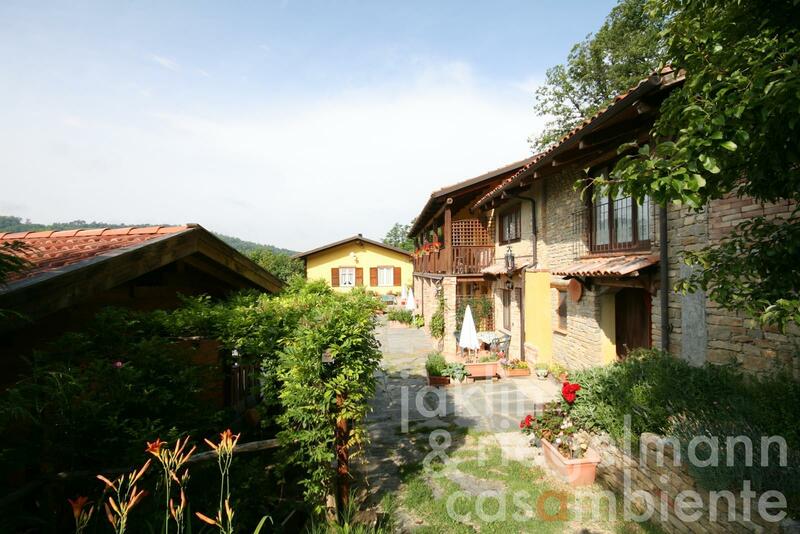 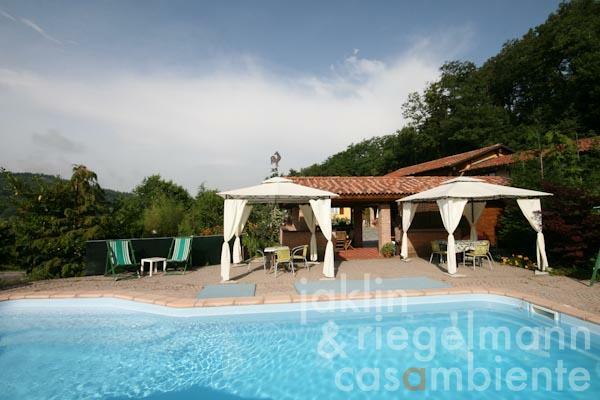 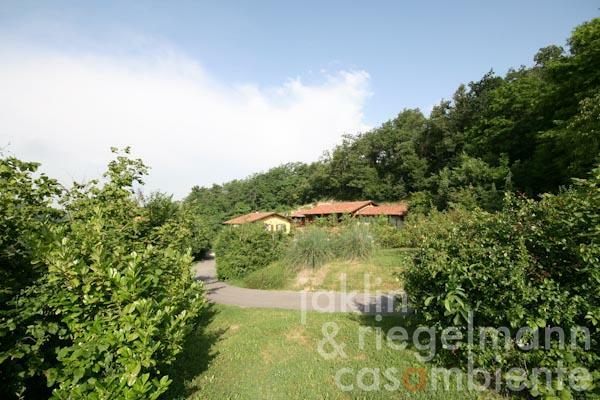 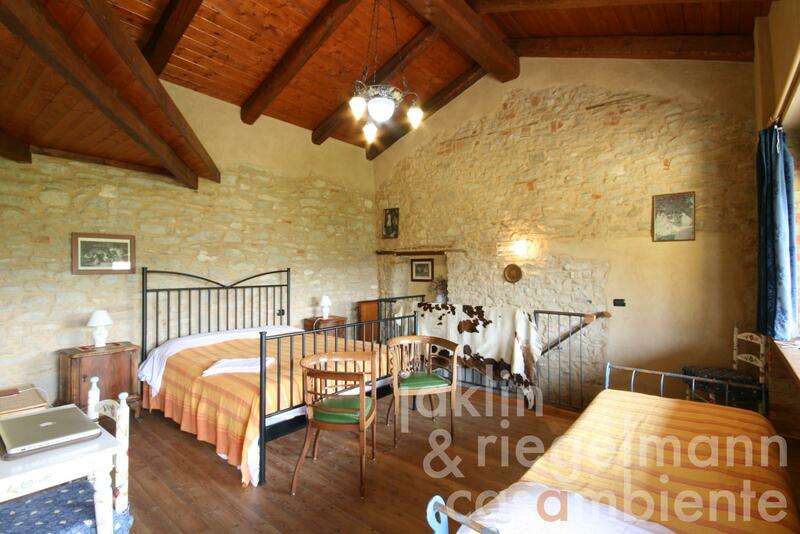 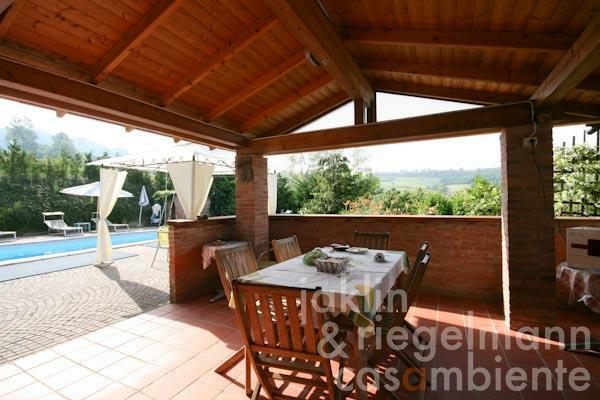 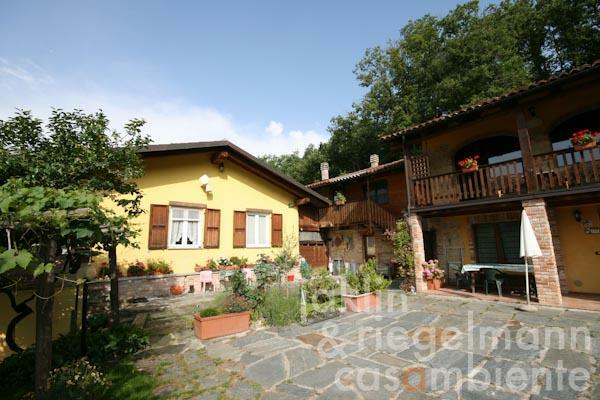 Country estate and Agriturismo in Piedmont for sale with typical country house, swimming pool, and hazelnut orchard in a beautiful setting between Monforte d'Alba and Cortemilia, not far from the Ligurian Mediterranean coast. 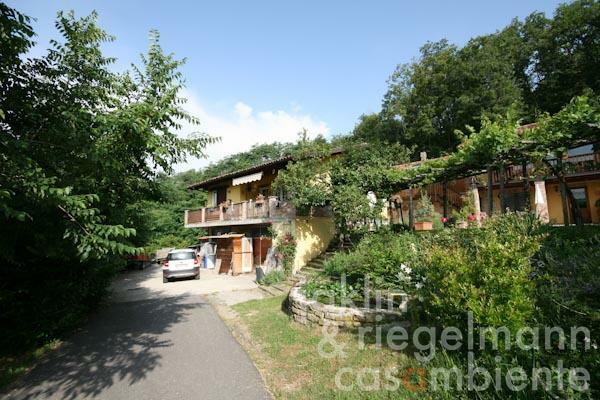 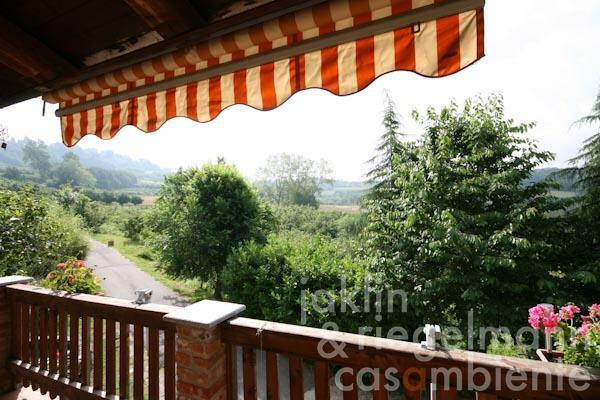 The property for sale is located below a small town and is surrounded by fruit- and hazelnut orchards, woodland and meadows. 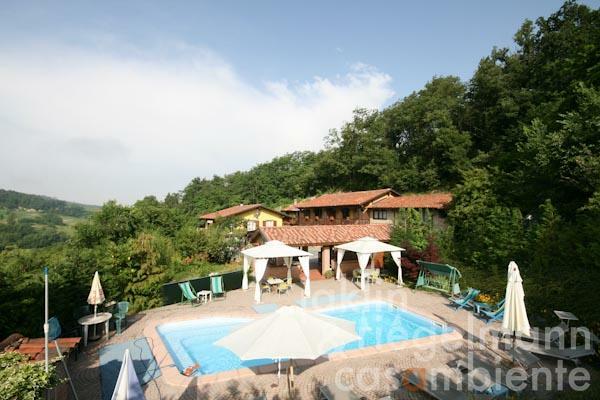 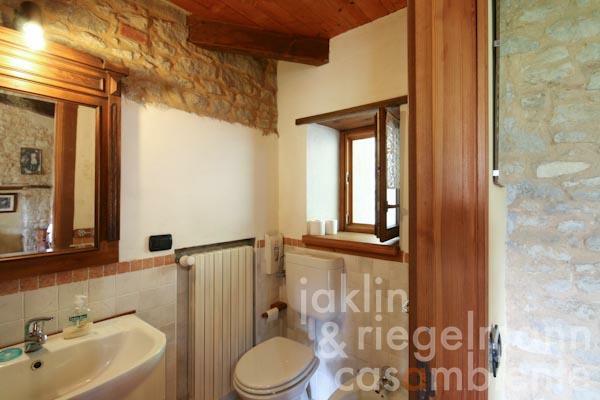 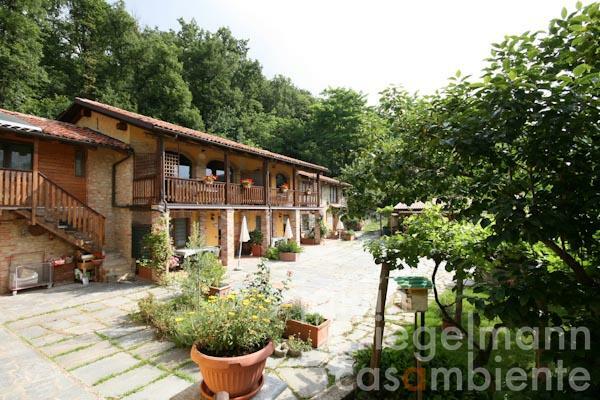 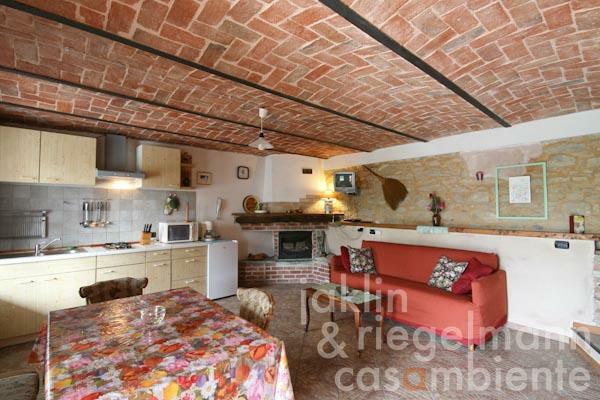 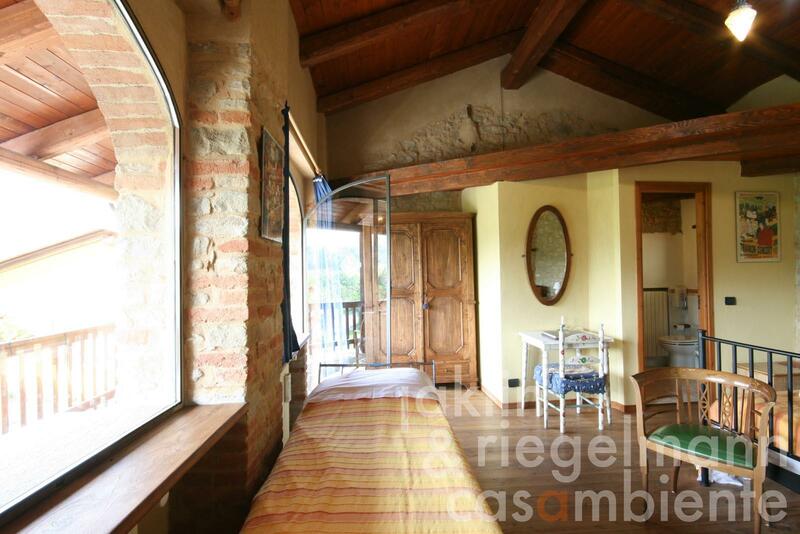 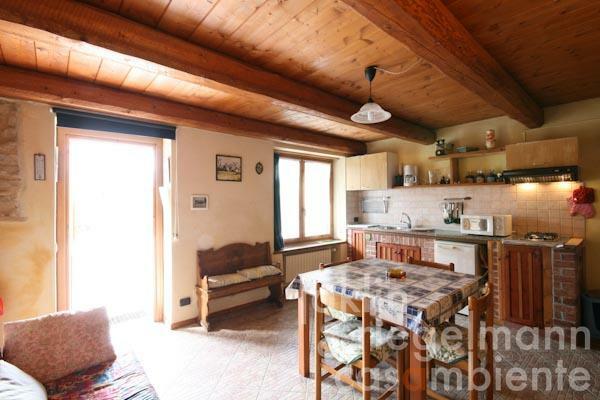 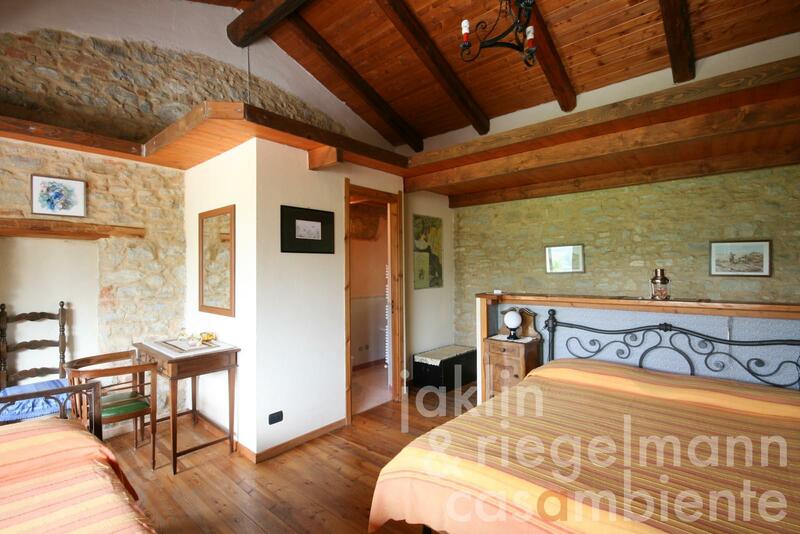 The estate is currently run as Agriturismo property and is situated in a good location for day-trips to nearby towns like Alba, Bra and Acqui Terme or cities like Turin, Milan and Genoa as well as several famous sights in Piedmont. 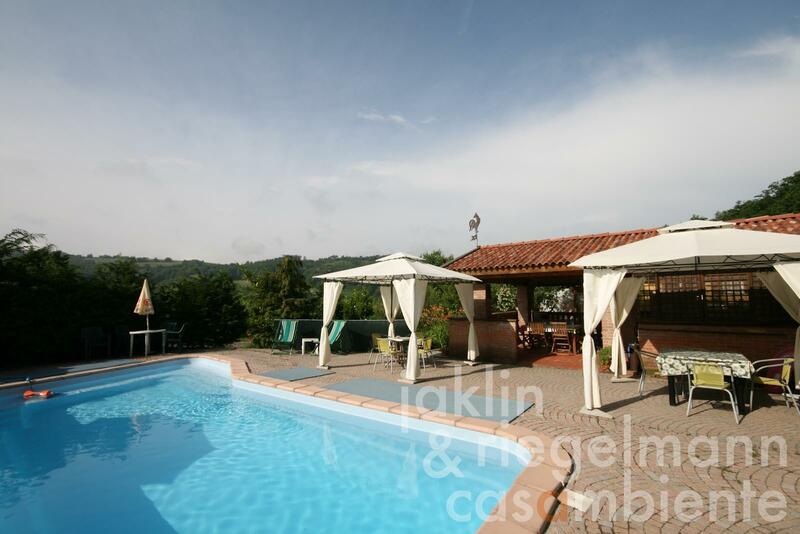 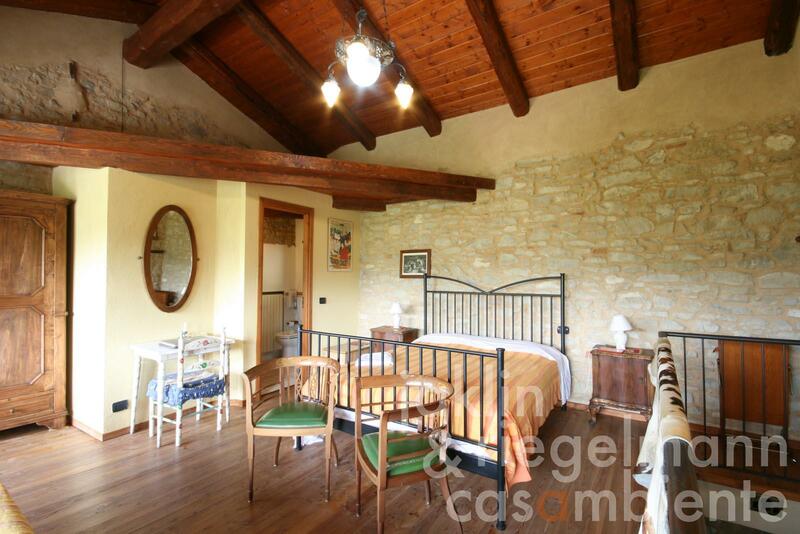 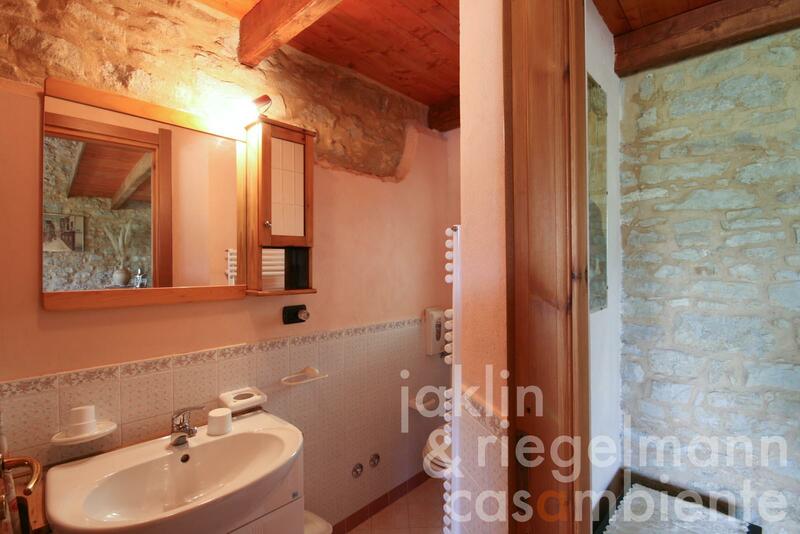 The property comprises an old country house with large balcony, a newly built house with balcony and terrace, a pool house with reception and bar, and a small shed with wood-fired oven. 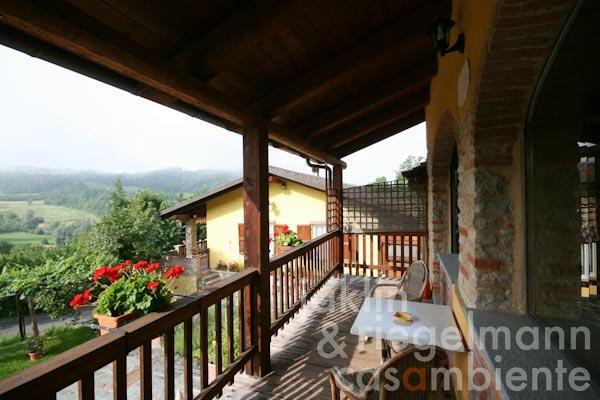 All holiday units for guests offer a balcony or terrace. Two spacious and fully restored units (each for 2-3 guests) in the old country house offer an eat-in kitchen on the ground floor and a sleeping area with en-suite bathroom, large windows, and balcony on the first floor. The third holiday unit (for 2-3 guests) in the old country house is located on the first floor and offers a living room with kitchenette and access to the private terrace, bedroom and a bathroom. 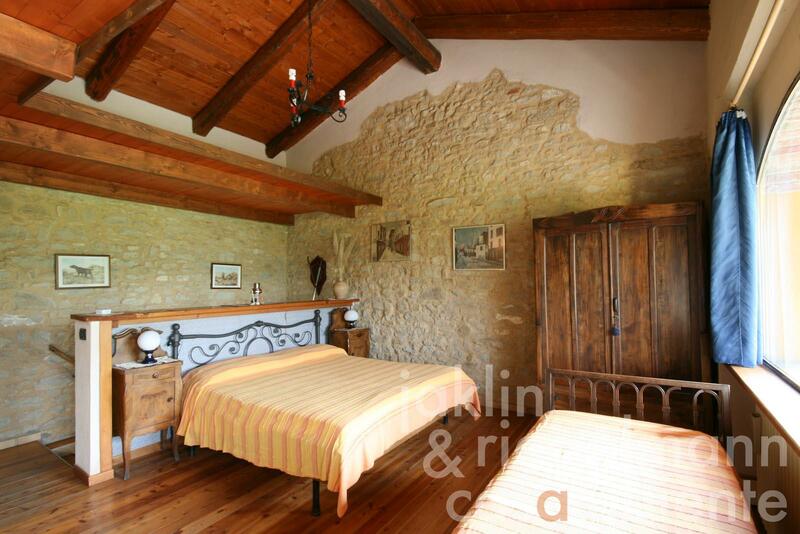 A bedroom with en-suite bathroom and a separate laundry completes the old country house. 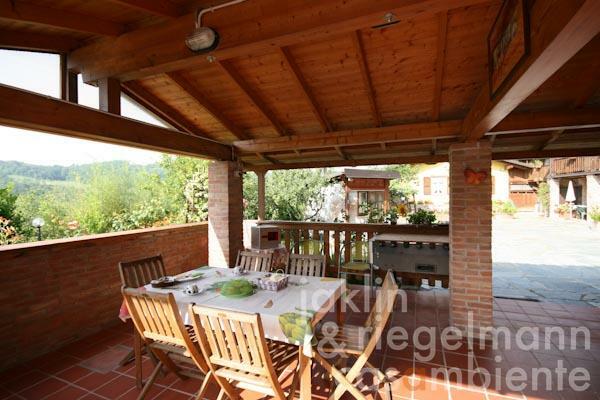 The newly built house is used as master apartment on the first floor with a living area, eat-in kitchen with a balcony, two bedrooms, of which one offers direct access to the large terrace on the rear side, and a bathroom. 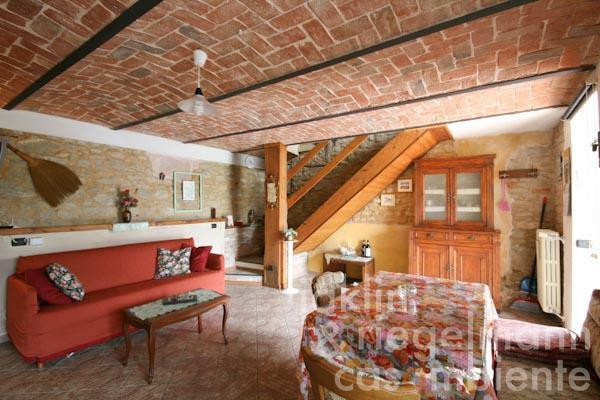 The ground floor is used as storage area. 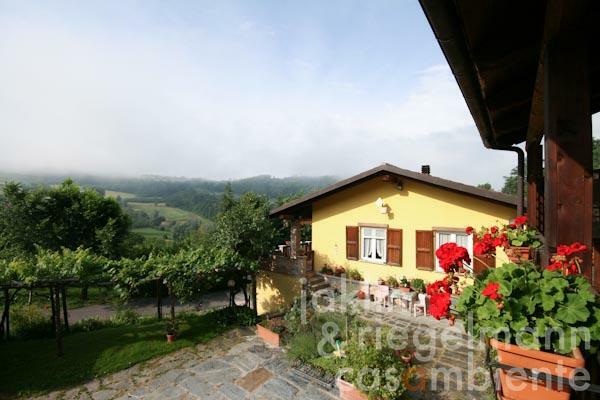 Italy, region Piedmont, province Cuneo, municipality Serravalle Langhe. 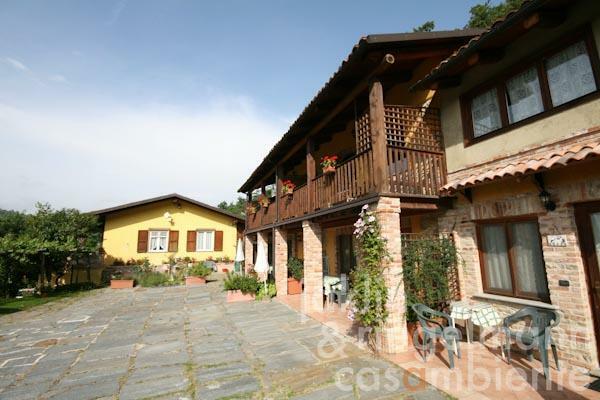 Electricity, mains water, own spring water, central heating, fireplace, gas connection, telephone, broadband internet access, satellite-TV, automatic gate, swimming pool, balcony, private parking, carport, terrace, garden, furnished.